The Labour Day public holiday means drinks, brunch, or maybe both, and generally having a blast in the sunshine (please, let their be sunshine). Plenty of Brisbane's best cafes and bars have left their doors open for the Labour Day public holiday, so you can get your nosh on, your caffeine hit, or something stronger if you fancy. Happy days. Here's what's open this Labour Day public holiday in Brisbane. If you can't get to the beach this Labour Day long weekend, we've found the next best thing. Soleil Pool Bar—one of the hottest new bars in town—is the perfect spot for cooling down, whether it's with a cocktail, or a dip in the pool. Soleil is open for breakfast, lunch, dinner, and poolside lounging from 7am until late. New Indro' restaurant The Mero is open this Labour Day public holiday, from 12pm to 10pm. A public holiday wouldn't be complete without an all day breakfast at Chester Street—it's the perfect hangover cure! Regardless of how crazy your Sunday night is, stroll on in and grab yourself a seriously delicious breakfast. For all the health conscious people of Brisbane, Little Pawpaw are opening their doors, offering up their usual ah-ma-zing menu. We could literally spend all day there, it's that good. Check it out! Cutesy Brisbane Cafe Ananas Espresso is open from 6am until 1pm for breakfast and lunchables. Milton's caffeine starved will be thrilled to hear Bunker will be open this Labour Day public holiday for all their coffee needs. Open from 3pm 'til late, Gerard's Bar is the ideal low-key Labour Day drinks destination. Once you're done with drinks at Gerard's Bar, move over to his bistro, which is also open this pub' hol, from 6pm. Fancy a Labour Day luncheon? Gasworks Hatch & Co. is open from 11:30am until 10:30pm for eats and drinks. No rest for the wicked, right? Get down at Laruche, open from 7pm to 5am, this public holiday. Housed in a converted Queenslander, Nana & Da's has become a north-side favourite. With its homely feel and darn good nosh, we were delighted to hear that Nana & Da's would be open for the public holiday. Make sure you pay them a visit! Long weekends were made for cocktails, and Lychee Lounge is our pick for a shaken somethin' somethin'. Open from 3pm 'til late. One of our favourite public-holiday haunts, A&C has once again come to the party and will be opening its doors for breakfast, lunch, dinner, and late night drinks. So round up the crew, and settle in for a day of food, friends, and festivities at A&C. You'll be feeling merry after a visit to Merriweather this pub' hol. Open until 12pm for all your hangover needs. A treasured member of the Alfred Street family, Kwan has jumped on the public holiday bandwagon, too, and will be open for lunch and dinner. Hooray! 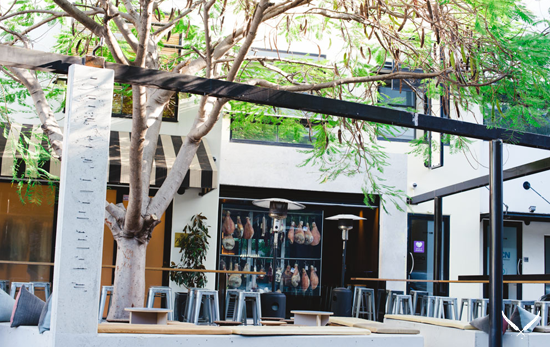 Situated in the M&A precinct of the Fortitude Valley, The Flaming Olive is relatively new to Brisbane's restaurant scene. But boy, have they impressed! Make sure you write them on your list of what's open this Labour Day public holiday. You won't be disappointed. Squished between Kwan Brothers and A&C, is Alfredo's Pizzeria. And gosh-darn, their pizzas are good! Alfredo's will be opening its doors this public holiday, so pop in and get your pizza and pasta fix! Possibly our favourite little hang out, Sourced is our go-to for all things healthy and delicious. From green smoothies, to smashed avo and labneh on toast, breakfast and lunch just wouldn't be the same without this place. And, they're open on the public holiday! Winning. 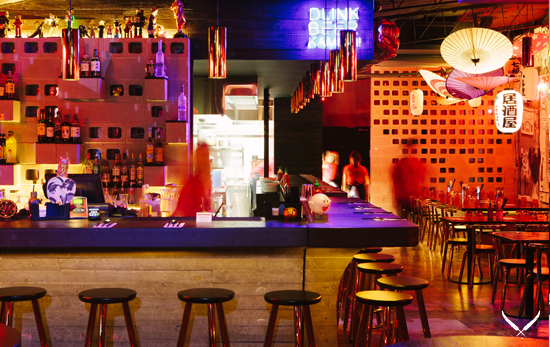 Click here for more of the best bars open this Labour Day public holiday in Brisbane.